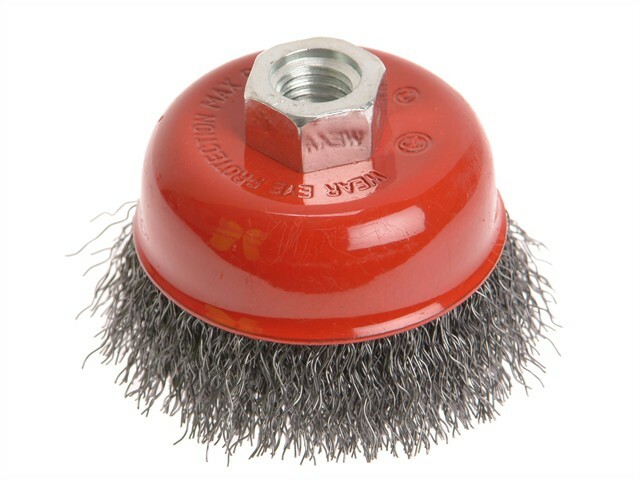 This Faithfull Wire Cup Brush is designed for use with angle grinders with a compatible thread. It is suitable for industrial use and more specialist applications. Crimped wire brushes are designed for lighter to medium-duty applications such as cleaning metal surfaces prior to painting.